Why is Sir Baniyas island first on the list of our top ten romantic island vacations? 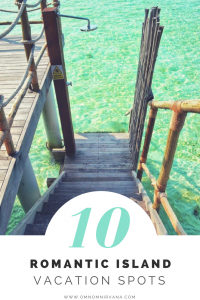 If you’re looking for an awesome little island holiday with your significant other or partner, then you must check out this list of my top ten romantic island vacations. From beautiful little private islands resorts to the lesser known ones, here’s a conclusive list of the best romantic island getaways. 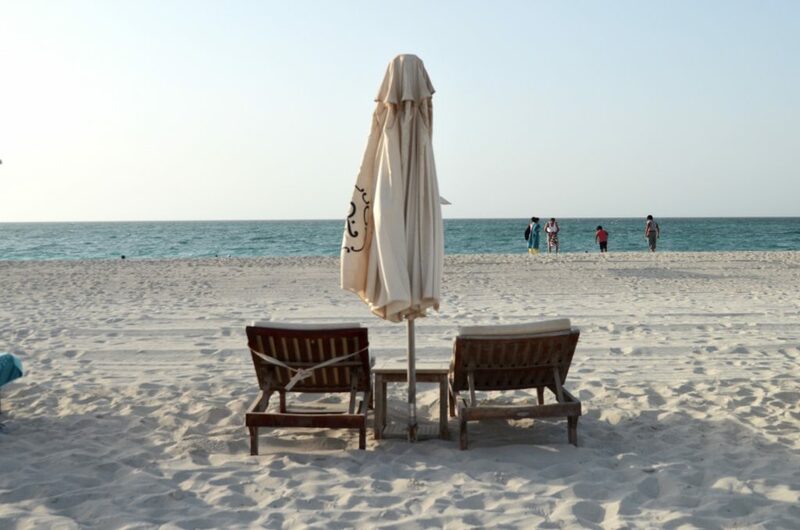 Combined with the wildlife, beach side and ample tie in with UAE history, Sir Bani Yas island rests on the no.1 spot for this list of top ten romantic island vacations. The trifecta of resorts at Anantara Sir Baniyas resort here is nothing short of wonderful, with its historical significance, desert influence, wildlife park and lagoons. 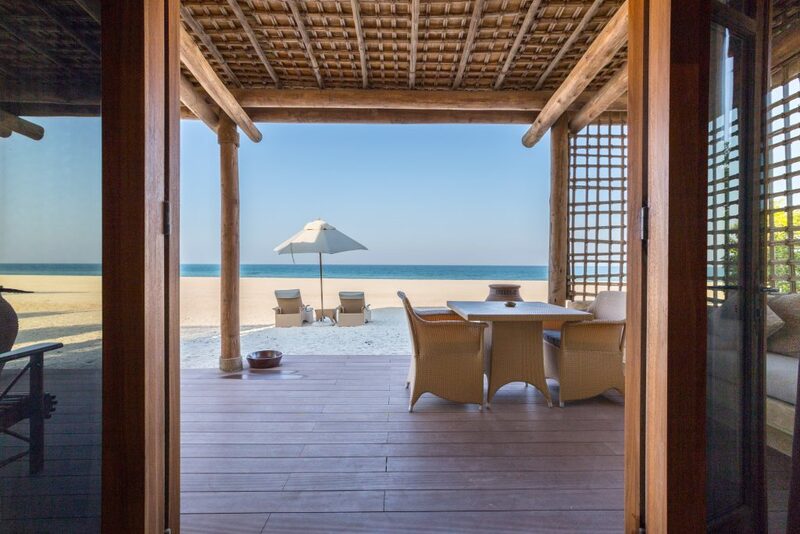 You can choose to stay in the private lagoon and beach facing Al Yamm villas, the wild and wonderful Al Sahel villas. Any romantic island destination list is incomplete without the Maldives. Constance Moofushi located in the Alifu Atoll is one of those swanky all-inclusive resorts. A short seaplane ride away, you have the exciting possibility of choosing a wide range of activities from dolphin watching to scuba diving. If you and your partner are foodies, then you’ll thoroughly enjoy the amazing no limits food and drinks available. Also, help yourself to the mini bar! Karin from Girl astray highly recommends Pantelleria as a romantic island getaway. “Pantelleria is a tiny volcanic island that belongs to Italy. It is, however, located near Sicily and even closer to the coast of Tunisia. Its black rocks formed by an ancient outburst of lava rise steeply from the sea and the island is a perfect location for couples looking to have a relaxing getaway, especially in the offseason. The soil is perfect for growing grapes and Pantelleria is covered with terraces where vineyards flourish. The local muscat wine is famed for its sweet taste and the picturesque villages charm with their typical “dammuso” architecture, but the main objective for most visitors is to bath in the local thermal springs and relax in the natural saunas. 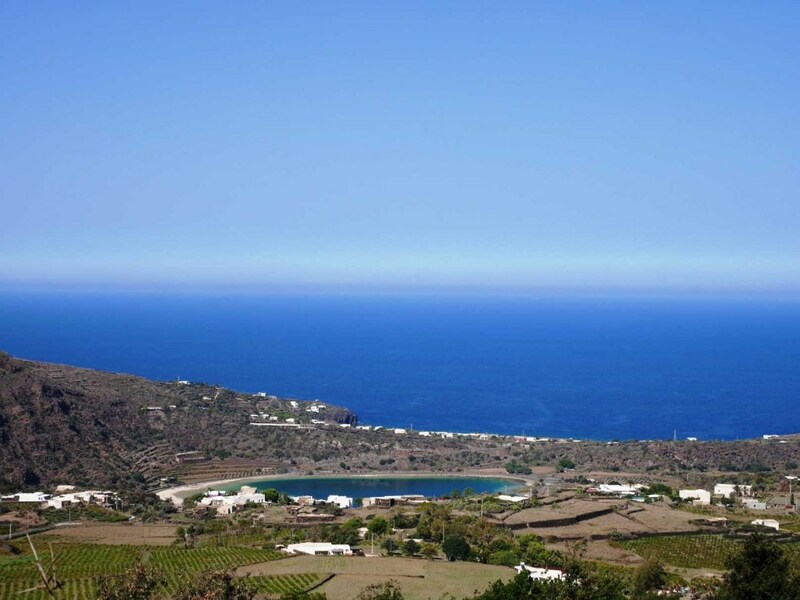 Check out resorts in Pantelleria here. Despite its relative proximity to bustling Cancun, visiting Isla Holbox is like taking a step back in time to a different kind of Mexican beach getaway. The small Caribbean island is home to beautiful beaches, amazing sunsets, no high rises, and almost no cars. 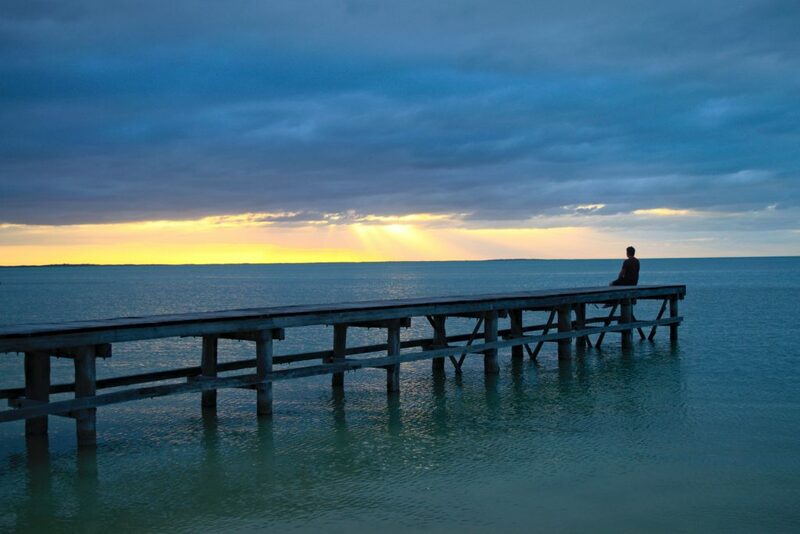 During some parts of the year, Isla Holbox hosts flamingos and whale sharks as well! Isla Holbox is the perfect place for a romantic getaway with your loved one: whether you want to take a long walk down a deserted beach, take a bike ride across the island together, try out kitesurfing for an adrenaline rush, or simply find a quiet place to watch the sunset with your arms around each other, Isla Holbox has you covered. Part of the charm of Isla Holbox is how laid back life is here: the island is well known for its ample supply of hammocks, so make sure that at some point you and your partner grab one to lazily pass an afternoon in, perhaps with a cold drink and a book in hand. If you like golf by the beach, then Saadiyat island is your place. Along with excellent dining options, the St. Regis at Saadiyat island is definitely a place that couples will enjoy. 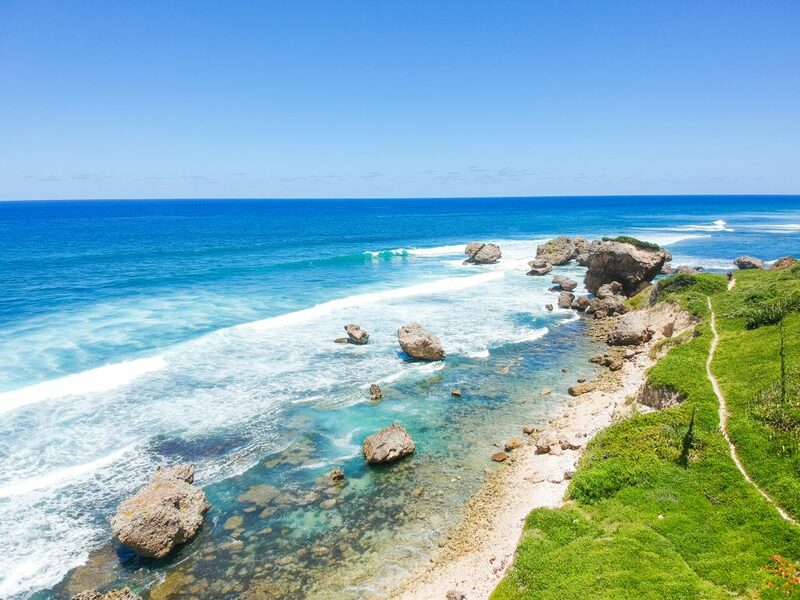 Enjoy your marvellous stay at this Starwood property and envision those long walks on the private beach. Ahhh, bliss! You can book your stay here. There’s a reason why Abu Dhabi made it to my travel bucket list this year! 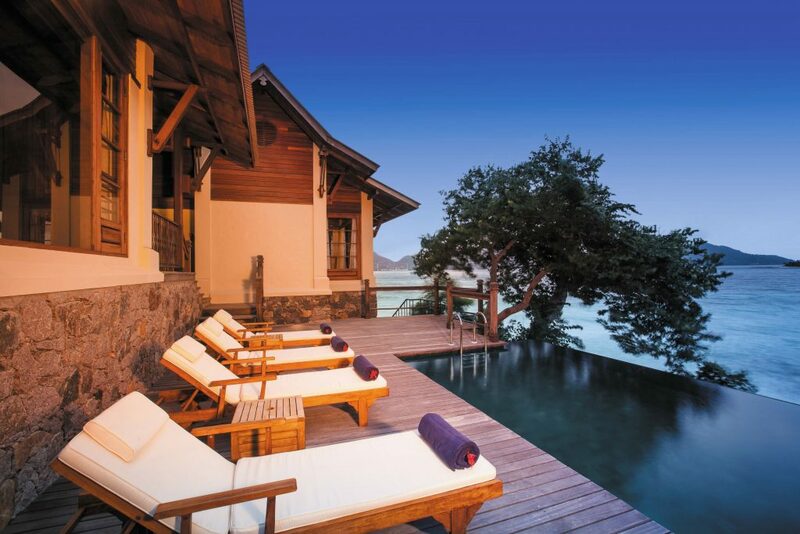 Awarded the Tripadvisor “Certificate of Excellence” for its third consecutive year, JA Enchanted Island Resort located in Round Island, Seychelles is made of only ten private villas that all offer private beach access. There are multiple wellness experiences, including three individual treatment pavilions. 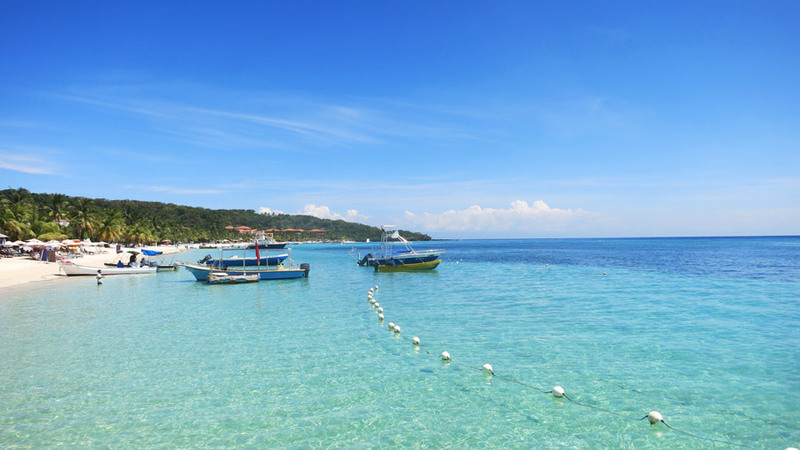 Activities include snorkeling and kayaking. Inspired by traditional customs and local produce, guests can enjoy gastronomic experiences at Bounty restaurant or the Castaway Bar. Cris, from Look n Walk Greece highly recommends the island of Ios in Greece. “Each year we choose to travel for our wedding anniversary. Our 5th anniversary deserved a special destination and we chose the island of Ios, Greece. Why? First of all, because a dear friend calls it home. Secondly, because we haven’t been to a Cyclidic island before. There is only one way to get to the island: by ferry. Coming via Athens, we chose a high-speed ferry, and, after more than 5 and a half hours, we arrived. Ios is known as a party island but, since we traveled in late May, we discovered a different vibe. The tavernas were just opening for the season – and we’ve been to quite a few official opening nights – and there were still more locals than travelers on the island. There are a lot of beautiful beaches on the island of Ios, but our favorite was, by far, Klima. We got there after a short hike from Mylopotas and even had a romantic picnic on the beach. 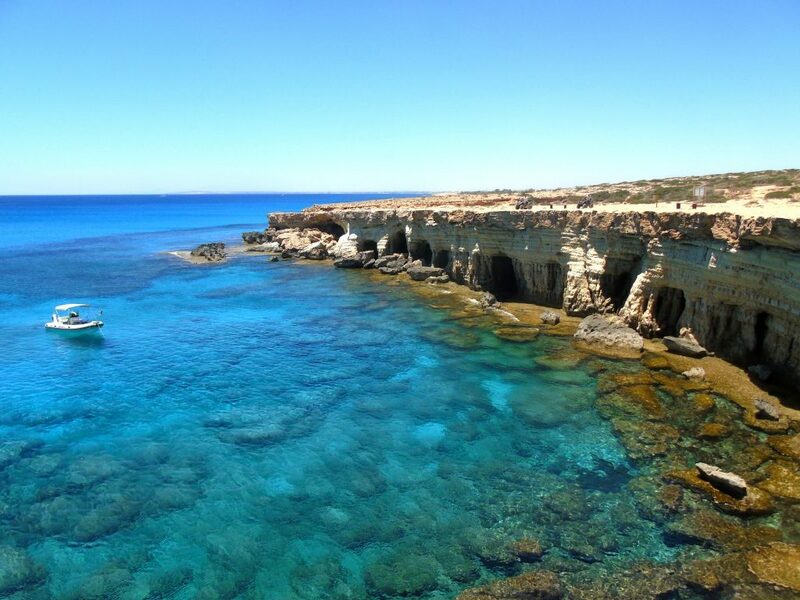 The penultimate on our list of top ten romantic island vacations is Southern Cyprus. Justine from Wanderer of the World explains why this destination belongs on the list. ” Romance and love are as synonymous with Cyprus as pristine beaches, crystal clear water and sunshine are. Why you may ask? Well, it’s believed that Aphrodite, Greek Goddess of Love, was born here (out of the sea foam on the banks of Cyprus). It’s also believed that she met and fell in love with Adonis in Cyprus too. So when travelling throughout the Southern part of the island, keep your eyes peeled for a whole number of landmarks and attractions dedicated to this infamous resident. Visit the Baths of Aphrodite – it’s said that a splash of this water will restore your youth, beauty and fertility. Sadly, you can’t swim in the baths today as electric eels have taken up residence here. Instead, you can use the nearby water fountain to splash with, which has the same water source as the baths. Once your youth has been restored, nearby Aphrodite’s Beach is perfect for loved-up couples seeking privacy and serenity. A drive to Petra tou Romiou reveals where Aphrodite was born, which comes complete with love notes and trinkets left for the goddess by those seeking love and those who have already found it. to relax after a day full of adventures massage professional are right here on the beach ready to help you. On beach there are some great places for a romantic dinner under the stars. Im next door to Abu Dhabi and need to jump over and check it out! Cyprus is next on my list but Greece sounds amazing! Beautiful photos and thanks for a great new bucket list! Love to see Ios included here – I love some of the more remote Greek islands which offer true tranquility! 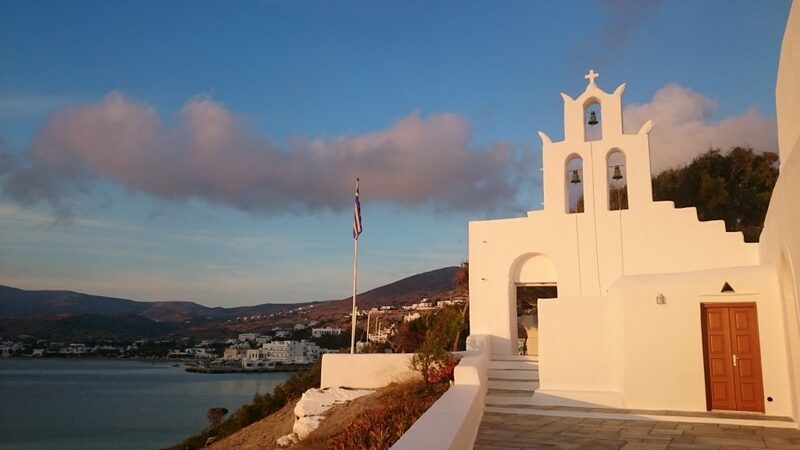 Folegandros and Leros are also well worth a visit when you are there! I didn’t visited any of these islands listed above, such a shame. Obviously I need more romance in my life. 🙂 Barbados and Ios sound like a lovely places to visit. This is definitely a great list when you include the Seychelles, Maldives, and Barbados. I am surprised to see not just one but two Abu Dhabi islands. For one I didn’t know they had islands. I want to throw St. Lucia out there for all the activities and how romantic it was. Wow! These all look beautiful! I wish I visited Abu Dhabi when I was in Dubai. I was so close. Maldives and Seychelles have always been on my bucket list. Ios also looks beautiful. I have visited several Greek islands but not this one. Great list! These are all exotic islands and the stuff that romantic dreams are made of. I have known that places like the Maldives, Honduras, etc., are really exotic places, but was surprised with the number one on the list. Was not aware that Abu Dhabi was home to such a gorgeous island. Nice list. Your post makes me want to visit all of them. By the way, cool pictures!